Wavelength Pictures have announced that documentary Kevin Roche: The Quiet Architect, will open at the IFI Cinemas, Dublin, on October 13th. This will follow the World Premiere of the film at the Irish Film Institute on October 1st, where it is screening as the closing night film of IFI Documentary Festival. This is followed by screenings at Indie Cork on Wednesday 11th October at the Gate Cinema Cork, and on Thursday 12th October at Offline Film Festival in Birr, Co. Offaly. 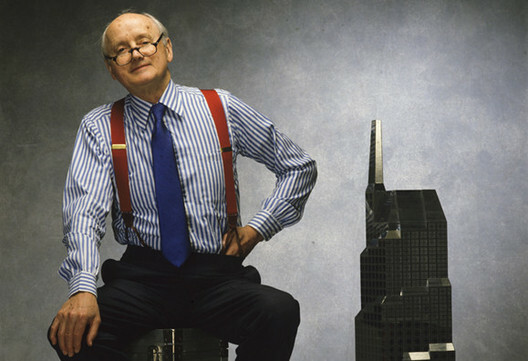 The film, directed by Irish filmmaker and UCD architecture graduate, Mark Noonan, delves into the life and work of award-winning Irish-American architect, Kevin Roche, showcasing his remarkable architectural achievements on the big screen. Still working at age 95, Pritzker Prize winning Irish-American architect, Kevin Roche, is an enigma. He’s reached the top of his profession, but has little interest in celebrity, and eschews the label “Starchitect”. Despite a lifetime of acclaimed work that includes 40 years designing new galleries for The Met in New York, he has no intention of ever retiring. He graduated from UCD in 1945, and after more than 60 years in the USA, his first Irish project, the Convention Centre Dublin, opened in 2010. Roche’s architectural philosophy focuses on creating “a community for a modern society”, and he has been credited with creating green buildings before they became part of the public consciousness. He has won awards for his designs of over 300 major buildings around the world, among them the Pritzker Prize in 1982 – the highest honour given to a living architect. Some of his best known work includes the Metropolitan Museum of Art in New York, which he has worked on for almost 50 years, the revolutionary Oakland Museum of California, the Ford Foundation and United Nations Plaza in Manhattan, A Centre For the Arts at the Wesleyan University, corporate campuses for Bouygues in Paris, and Banco Santander in Madrid. Roche has also been the subject of special exhibitions at the Museum of Modern Art, the Architectural Association of Ireland in Dublin, and the American Academy and Institute of Arts and Letters. Kevin lives and works in Hamden, Connecticut. Irish Director, Mark Noonan’s debut feature film, You’re Ugly Too, featured Aidan Gillen (‘Game of Thrones’) and Lauren Kinsella (Albert Nobbs) and premiered at the 2015 Berlin International Film Festival (Berlinale) where it was nominated for Best Debut Feature. Completed in Summer 2017, Kevin Roche: The Quiet Architect is his debut documentary feature, and was filmed at locations in New York City, Connecticut, Massachusetts, Indiana, Oakland California, Paris, Madrid and Dublin. The film was produced by John Flahive for Wavelength Pictures, in association with Still Films, with the participation of the Irish Film Board / Bord Scannáin na hÉireann, and Just Films|Ford Foundation. Tickets are now on sale for the Doc Fest screening at the IFI.